Arrival at Tribhuvan International Airport and transfer to the hotel. Rest of the day free for your own activities. Overnight stay at the hotel. After breakfast proceed for a half day sightseeing, Visit The famous Pashupatinath & Boudhanath. , Shambunath Buddhist temple (monkey temple), Kathmandu Durbar Square, rest of the evening free for individual activities. Overnight stay at the hotel. After breakfast visit to Patan. The city of Patan lies to the south of Kathmandu and is situated on the sacred Baghmati River. It is believed to be a city covered with a thousand golden roofs. 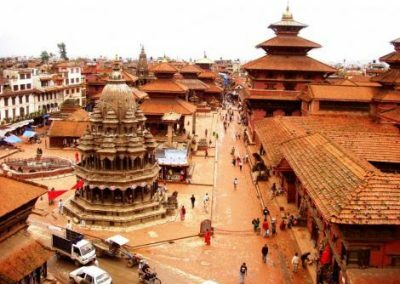 The city is locally referred to as Lalitpur and is famous for its art and crafts. Keep the afternoon free after your return to Kathmandu. Overnight stay at hotel. After breakfast check out and departure transfer to the Katmandu airport for onwards journey.